Online gambling has been booming for the past decade and is expected to be a $50+ billion dollar a year business by 2020. So as the market expands so has the need for processing companies and other financial entities to step in to assist players in delivering the best online poker deposit options available. With literally thousands of online gaming sites existing from locales all around the globe it can be tasking trying to find particular online poker sites that accept more “traditional” deposit methods like credit cards, Neteller, Skrill and even PayPal – along with more “non-traditional” options like Bitcoin and more. Here at Flushdraw we have made it our mission to help break down the best online poker deposit methods in their simplest form and guide you towards the best poker sites that accept them. The popular cryptocurrency has become one of the leading methods for iGaming deposits. Fees are typically lower than that of most eWallets and the added anonymity and speed of transactions occur within minutes of a request. Players looking to utilize this method need only enter some personal information in order to open up an account at a trusted bitcoin website and then attain a blockchain number (which is unique to the user themselves) for the use of sending and receiving bitcoin via your favorite online poker site. Wire card (formerly Click2Pay), although banned for use by US customers, is one of the most used eWallets in the iGaming industry. While it is not used as commonly as the bigger payment processing companies, they stay relatively competitive with low fees (normally 3% for credit/debit cards) and because they accept online poker players from Canada – something that Skrill and Neteller do not currently do. 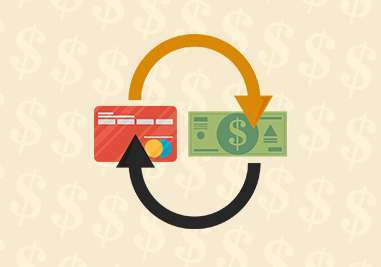 Players utilizing this method will normally have a debit card issued to them as a means to access their money instantly. Credit cards are head and shoulders above the rest when it comes to viable deposit options at most online poker rooms. In fact, most, if not all, poker websites accept Visa or MasterCard deposits in some capacity. This is one of the more easily accessible options for USA players and is widely used by international customers in Europe and abroad. Having launched in 2002 out of the UK, Skrill has become the foremost authority on payments and money transfers that are made completely via the internet. You may originally remember them as MoneyBookers, but they rebranded as Skrill in 2011. The site is one of the leading eWallets for online gaming transactions and currently process payments in 41 different currencies at a nominal fee. They are also one of most widely accepted deposit options for ANY online gambling website (poker, sportsbook, bingo, etc). Rivaled only by fellow payment processor Skrill, this company is still one of the biggest providers for online gaming transactions today. A Neteller account take only minutes to set up and they charge only 2.5% fees to load your account by Visa or MasterCard. Most international poker sites accept Neteller and funds normally only take minutes to show up in your player account upon deposit. Regulated poker rooms in New Jersey, Nevada and Delaware can also load funds via Neteller. PayPal operates its processing company in over 200 markets and has well over 150 million active accounts. PayPal allows its users to receive and send money in 26 currencies worldwide and is one of the most recognized names in the payment processing industry. Depositing via PayPal is available at little to zero cost, however, the company does charge higher-than-average fees to withdraw your money back into your bank account. PaySafeCard is an online deposit method available at many of the most popular online poker sites out there today, although USA players are restricted from using this option. You can purchase a physical PaySafeCard at thousands of listed merchants provided on their website and load funds onto the card via debit or credit card. It also provides anonymity as you do not have to link your bank account to it like other payment processing companies might make you do. PaySafeCard is for DEPOSITS ONLY. An Entropay account takes only minutes to set up online and is a widely used deposit method for players. Entropay, unlike most eWallets that provide customers with a physical debit card, is a Prepaid Virtual Visa Card that you load from your bank account 100% online. Customers will not receive a physical Visa card, however, the Virtual Visa that is issued to them will have a full 16-digit card number and 3-digit security code (CVV). There are no credit checks to attain the card and is accepted by most poker sites around the world. Instadebit is a popular deposit method for Canadian players but is also utilized by customers worldwide (accepted by 30+ countries now). Users simply sign up for an account via the Instadebit website and connect their bank account to it. From there you just have to find a poker room that accepts this option and your funds should clear within 1 to 3 days. This company is one of the most secure in Canada and is a must-use if you're a resident there.